About 60 percent of the iodine that makes its way into your body is stored in the thyroid gland, which has as its primary function the secretion of thyroid hormones that serve to regulate the base metabolic rate of the body. 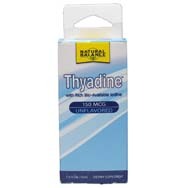 Without iodine, per organicfacts.net, thyroid hormones could not be synthesized. In cahoots with the thyroid gland, iodine thus plays a role in assisting in the proper utilization of calories, effectively preventing them from being stored as excess fat. 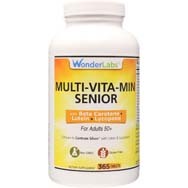 Other health-related pluses include the expulsion of toxins from the body as well as helping in the utilization of minerals such as calcium and silicon. Enhance cognition. Per healthwholeness.com, an iodine deficiency can lead to impaired cognitive function. The website cited a study in which supplementation with iodine enhanced cognitive function among cognitive-impaired children who had an iodine shortage. Once supplemented, the children showed improvements in their fine motor skills, information processing, and visual problem solving. Treat fibrocystic disease. Per organicfacts.net, studies have demonstrated a strong link between molecular iodine and a decrease in the signs and symptoms of fibrocystic breast disease. Bolster energy. Iodine’s role in this regard involves contributing to the efficient deployment of calories – hence energy – while keeping them from being deposited as excess fats. Protect from pathogens. With the medical use of antibiotics being used more and more sparingly because of factors such the adaptation of “super bugs” rendering antibiotics less effective, iodine’s potential is being looked at increasingly as an effective anti-pathogen agent. 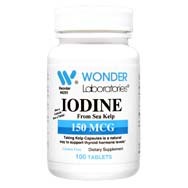 Per healthwholeness.com, iodine has been shown to exhibit an effect similar to antibiotics while not damaging healthy bacteria needed by the body. Boost immune system. 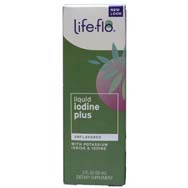 Healthwholeness.com describes iodine as a “scavenger of free hydroxyl radicals,” while also promoting and boosting the activity of antioxidants throughout your body, this helping to ward off various diseases, to include heart disease. Boost hair growth. While iodine probably doesn’t qualify as a first and only option for folks to consider using for countering hair loss, it has been linked to hair health as well as how fast hair can grow, per healthwholeness.com. Regulate metabolic rate. 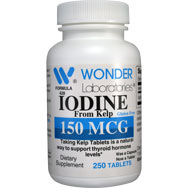 By aiding in hormone production as part of the functionality of the thyroid gland, iodine plays a role in controlling the body’s basic metabolic rate, which is associated with normal processes such as the sleep cycle and the absorption of food and its conversion into usable energy, per organicfacts.net. Help detox fluoride. Most known for its inclusion in drinking-water supplies, fluoride has long been known for promoting health of teeth, but it also has been linked to brain damage in children. So instead of allowing your body to store up fluoride undeterred, it should be flushed out of your body, and iodine can help in that regard as a detox agent. That should be happening anyway, provided you don’t have an iodine deficiency.